My parents weren’t well off and had no interest in skiing, but wanted to give me the chance to experience new things. So they decided to send me on a school ski trip to Tulfes in Austria aged 13. To cut a long story short this started my love of skiing. Over the years I’ve trained at Sheffield Ski Village while at uni, and gone on several lads’ skiing holidays, before doing some leading for the Ski Club of GB. 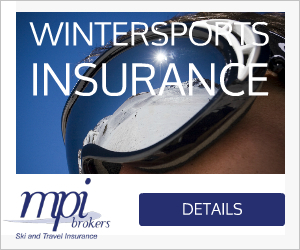 I currently help with the local Disability Snowsports group as a volunteer instructor, having done BASI Alpine and Adaptive instructor courses. 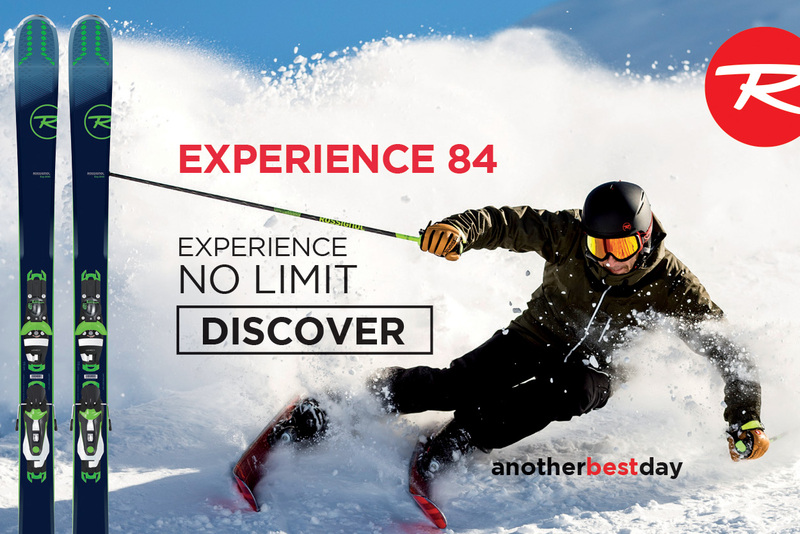 I’ve had many memorable experiences on skis, including amazing off-piste runs, skiing in Hokkaido for a day, exploring the back bowls in Heavenly above the Nevada desert and heli-skiing in Monterosa. I am now into my third year of ski touring, which has led to some epic adventures. But the line of my life is the Petit Saint Bernard family adventure slope in La Rosière. I have no kids of my own to pass my love of the mountains on to, but I was keen to give my niece Lottie, age 11, the same chance I had been given. First I took her to the Chill Factore for a taster lesson: she seemed to enjoy it and looked quite confident on skis. Not long afterwards I took her on her first skiing holiday. 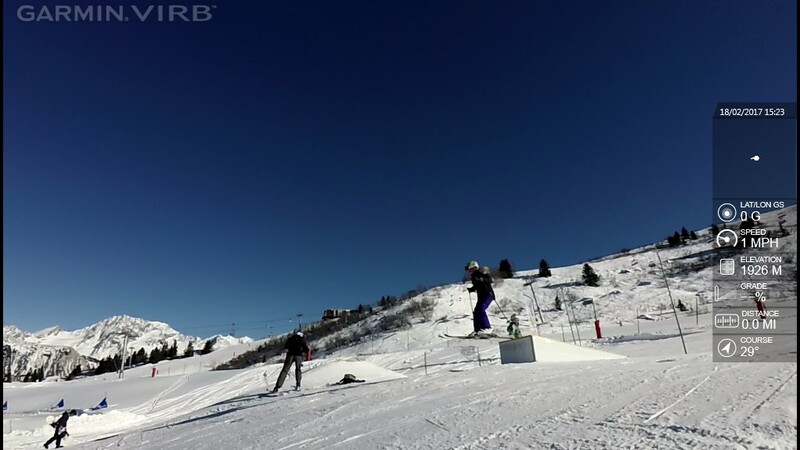 Granny booked a couple of lessons for her at the local dry slope to give her a head start, and then at Easter 2016 we set off for La Rosière in the French Alps. On the first day we side-stepped up the nursery slope to get the feel of skis on snow, and soon progressed to the drag lift. Over the next few days it was obvious Lottie was a natural and we were soon onto blue runs. The next big test was skiing the link over to La Thuile, where the only option is a short red run, but despite some apprehension it all went smoothly with no falls. On day five we had a go at the short Ecureuil black run – part side-slipping, part plough turns, and all perfectly in control. 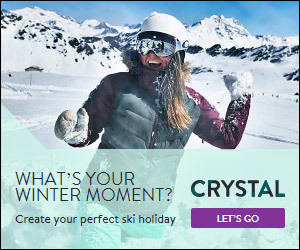 During the week we discovered the Petit Saint Bernard ‘family adventure slope’ and whatever else we did we had to revisit this at the end of every day. The first foray into the area was a little tentative with cautious snowplough turns, and it took quite a while to get to the bottom negotiating the various obstacles. When I encouraged Lottie to have a go over a small ramp, she sat back on landing, sliding a few metres on her backside. But the more we did it the more confident she became until she was whizzing round corners, whacking bells with her poles, ducking through tunnels, taking bumpy tracks through the trees, and going straight back to the lift to go round again and again! Seeing Lottie progress gave me a huge sense of pride. Passing the passion for skiing and being in the mountains to the next generation is a great feeling. 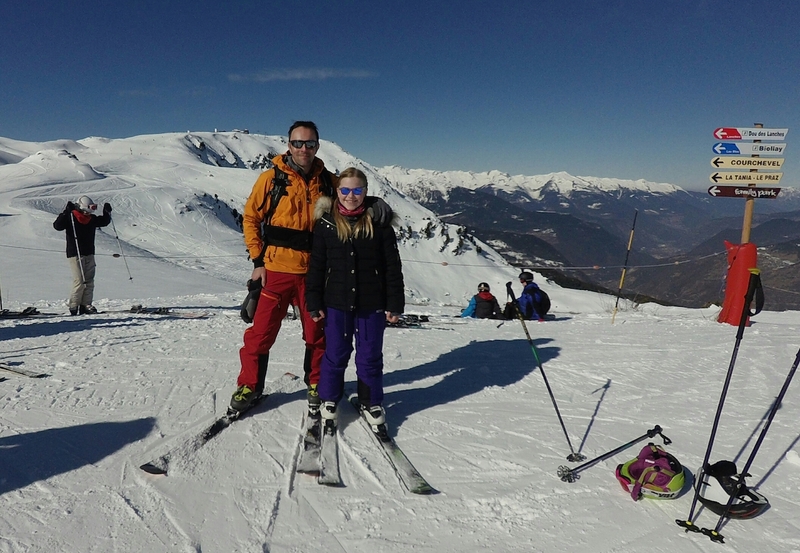 Last year we went back to the Alps for Lottie’s second week on snow and her skiing ability and confidence carried on developing at the same rapid rate. 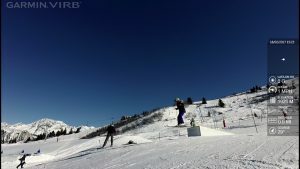 Skiing from Courchevel 1650 to Les Menuires (including the tricky red from Roc Merlet because the Aiguille du Fruit lift had stopped), with a few circuits of Méribel’s fun park (with some mid-air dabbing) on the way back is pretty good going for week two on snow.